The Philanthropy Podcast explores the joys, challenges, and new ideas in the world of philanthropy. We hear perspectives, advice, and encouragement from professionals in the field, donors supporting great causes, and people whose world intersects ours in one way or another. The Philanthropy Podcast's beginnings stemmed from a conference presentation about finding the joy in making an ask. With your help we can grow to provide guidance on all aspects of how to run a comprehensive development program. My parents never taught me not to talk to strangers or not to ask for money. When you combine that with an upbringing in a town where stories and relationships ruled, you unknowingly are destined to become a fundraiser. From my college studies to my work to launching this podcast, I've always been fascinated by people, their stories, and what makes them tick. I've had nine jobs since age 11 and in every one I've made it all about the people. The Philanthropy Podcast germinated from my desire to better serve the people with whom I work, and to pick the brains of some of the best and brightest in the industry to help all of us be a little better at what we do. See those eyes? That's someone who approaches things eyes wide open. 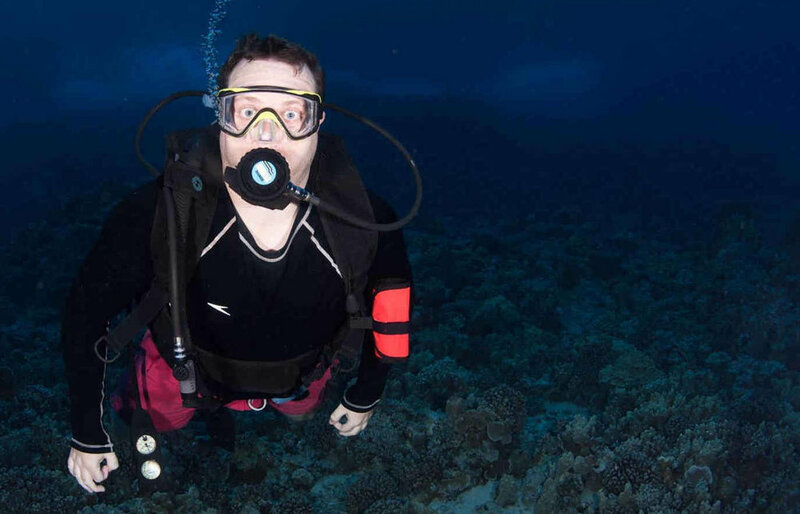 Unfortunately in this case, my wide open eyes were the result of our dive guide's flash and the realization he was telling me that my goggles had a leak!